RIANZ (Recording Industry Association of New Zealand) are celebrating 30 years of the Official New Zealand pop charts. All the chart records are quoted and Hayley is confirmed as having the top album by a NZ artist. There follows an extract from their official report . Anyone who wants even more of the gory details (like me, LOL) should go to Scoop . "Hayley Westenra has New Zealand’s best placed album of the 30 years with the 11-times platinum Pure spending 19 out of 56 weeks at the top of The Chart in 2003. Next best Kiwi is Bic Runga with Beautiful Collision on 101 weeks in The Chart, eight of them at #1. Shania Twain’s Come on Over is the top album of the past 30 years in New Zealand. It spent 104 weeks in The Chart in 1999, 23 weeks at the top." Keith/Simon,. 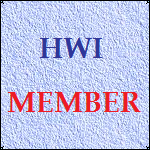 you may want to publish the RIANZ article - or an extract - on the HWI website! I must add my own personal congratulations to Hayley for such a wonderful and well-deserved achievement! Now I can't wait to see her with Jose Carreras at Hampton Court next month. The item is up at HWI. I passed it through to Simon yesterday. A piece of news like that could not be missed and, like everyone else, my heartfelt congratulations go to Hayley on a wonderful result. Yep, fast work there, Keith! I just wondered if you might want the "official" statement from the RIANZ website as well... they were very slow in putting it up. I've had a further thought, like I often do! See you at Hampton Court.